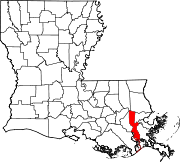 Jefferson Parish (French: Paroisse de Jefferson) is a parish in Louisiana, United States that includes most of the suburbs of New Orleans. The seat of parish government is Gretna. According to the 2010 census, Jefferson had a population of 432,552. Metropolitan New Orleans, a seven-parish area which includes Jefferson, is the largest metropolitan area in the state. Jefferson Parish is considered part of the Greater New Orleans Area. Jefferson Parish was less affected by Hurricane Katrina in 2005 and has rebounded at a more rapid pace than neighboring Orleans Parish. A population estimate conducted in July 2007 by the Louisiana Recovery Authority put Jefferson at 440,339 residents, or 98% of its 2000 total, making it in 2007 the most populous parish in the state. As of the 2010 census, East Baton Rouge Parish is the most populous parish in Louisiana. Jefferson Parish was named in honor of U. S. President Thomas Jefferson of Virginia when the parish was established by the Louisiana Legislature on February 11, 1825, a year before Jefferson died. A bronze statue of Jefferson stands at the entrance of the General Government Complex on Derbigny Street at the parish seat in Gretna. The parish seat was in the City of Lafayette, until that city was annexed by New Orleans in 1874. Originally, this parish was larger than it is today, running from Felicity Street in New Orleans to the St. Charles Parish line. However, as New Orleans grew, it absorbed the cities of Lafayette, Jefferson, Carrollton and several unincorporated areas (faubourgs). These became part of Orleans Parish. The present borders between Jefferson Parish and Orleans Parish were set in 1874. The Jefferson Parish seat was moved to Gretna at the same time. From the 1940s to the 1970s, Jefferson's population swelled with an influx of middle-class white families from Orleans Parish. The parish's population doubled in size from 1940 to 1950 and again from 1950 to 1960 as the parents behind the post–World War II baby boom, profiting from rising living standards and dissatisfied with their old neighborhoods, chose relocation to new neighborhoods of detached single-family housing. By the 1960s, rising racial tensions in New Orleans complicated the impetus behind the migration, as many new arrivals sought not only more living space but also residence in a political jurisdiction independent from New Orleans proper. The earliest postwar subdivisions were developed on the Eastbank of Jefferson Parish ("East Jefferson") along the pre-existing Jefferson Highway and Airline Highway routes, often relatively far-removed from the New Orleans city line, as land prices were lower further away from New Orleans and land assembly was easier. The completion of Veterans Highway in the late 1950s, following a route parallel to Airline but further north, stimulated more development. The arrival of I-10 in the early 1960s resulted in the demolition of some homes in the Old Metairie neighborhood, where development began in the 1920s, but resulted in even easier access to suburban East Jefferson. In the portion of Jefferson Parish on the Westbank of the Mississippi River ("West Jefferson"), large-scale suburban development commenced with the completion, in 1958, of the Greater New Orleans Bridge crossing the Mississippi River at downtown New Orleans. Terrytown, within the city limits of Gretna, was the first large subdivision to be developed. 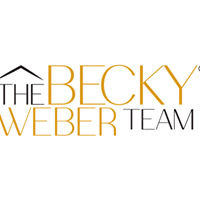 Subsequent development has been extensive, taking place within Harvey, Marrero, Westwego and Avondale. Similar to the development trajectory observed by other U.S. suburban areas, Jefferson began to enjoy a significant employment base by the 1970s and 1980s, shedding its earlier role as a simple bedroom community. In East Jefferson, the Causeway Boulevard corridor grew into a commercial office node, while the Elmwood neighborhood developed as a center for light manufacturing and distribution. By the mid-1990s, Jefferson Parish was exhibiting some of the symptoms presented by inner-ring suburbs throughout the United States. Median household income growth slowed, even trailing income growth rates in New Orleans proper, such that the inner city began to narrow the gap in median household income, a gap at its widest at the time of the 1980 Census. St. Tammany Parish and, to a lesser extent, St. Charles Parish began to attract migrants from the inner city, and increasingly even from Jefferson Parish itself. These trends were catalyzed by Hurricane Katrina, which destroyed much of New Orleans' low-income housing and propelled further numbers of lower-income individuals into Jefferson Parish. Despite these challenges, Jefferson Parish still contains the largest number of middle class residents in metropolitan New Orleans and acts as the retail hub for the entire metro area. The parish has a total area of 642 square miles (1,662.8 km2), of which 307 square miles (795.1 km2) is land and 336 square miles (870.2 km2) (52.29%) is water. Interstate 10 – connects the East Bank to St. Charles Parish on the west and New Orleans on the east. U.S. Highway 61 – connects the East Bank to St. Charles Parish on the west and New Orleans on the east. U.S. Highway 90 – connects the East Bank to the West Bank on the south (via the Huey Long Bridge) and to New Orleans on the east (via Jefferson Highway). Lake Pontchartrain Causeway – connects the East Bank to St. Tammany Parish on the north via Causeway Blvd across Lake Pontchartrain. U.S. Highway 90 – connects the West Bank to the East Bank on the north (via the Huey Long Bridge) and to St. Charles Parish on the west. U.S. Highway 90 Business – connects the West Bank to New Orleans on the east ($1 toll eastbound) and intersecting U.S. Highway 90 to the west. Planned future route of Interstate 49. Louisiana Highway 18 – connects the West Bank to St. Charles Parish. Louisiana Highway 23 – connects the West Bank to Plaquemines Parish. As of the 2000 census, there were 455,466 people living in Jefferson Parish. There were 120,191 families residing in the parish. The population density was 1,486 people per square mile (574/km²). There were 187,907 housing units at an average density of 613 per square mile (237/km²). The racial makeup of the parish was 69.82% White, 22.86% Black or African American, 0.45% Native American, 3.09% Asian, 0.03% Pacific Islander, 2.03% from other races, and 1.72% from two or more races. 7.12% of the population were Hispanic or Latino of any race. There were 176,234 households out of which 31.90% had children under the age of 18 living with them, 48.20% were married couples living together, 15.40% had a female householder with no husband present, and 31.80% were non-families. 26.70% of all households were made up of individuals and 8.40% had someone living alone who was 65 years of age or older. The average household size was 2.56 and the average family size was 3.13. In the parish the population was spread out with 25.30% under the age of 18, 9.10% from 18 to 24, 30.20% from 25 to 44, 23.40% from 45 to 64, and 11.90% who were 65 years of age or older. The median age was 36 years. For every 100 females there were 92.40 males. For every 100 females age 18 and over, there were 88.60 males. The median income for a household in the parish was $38,435, and the median income for a family was $45,834. Males had a median income of $35,081 versus $24,921 for females. The per capita income for the parish was $19,953. About 10.80% of families and 13.70% of the population were below the poverty line, including 20.00% of those under age 18 and 9.80% of those age 65 or over. The communities are arranged by region and ranked by population as of the 2000 Census. The Bridge City Center for Youth, a juvenile correctional facility for boys operated by the Louisiana Office of Juvenile Justice, is in Bridge City in an unincorporated area in the parish. The parish's public schools are operated by Jefferson Parish Public Schools. Jefferson Parish Library operates the public libraries. ^ "Jefferson Parish : JP Leads Nation in Job Growth" (posted), Jefferson Parish network, 2007, webpage: JParish-5688. ^ "New Orleans population still cut by more than half". 29 November 2006 article by Reuters. http://www.alertnet.org/thenews/newsdesk/N29357330.htm. Retrieved 6 December 2006. ^ United States Census Bureau. "Louisiana Population of Counties by Decennial Census: 1900 to 1990". http://www.census.gov/population/cencounts/la190090.txt. Retrieved 2007-06-12. ^ "Bridge City Center for Youth." Louisiana Office of Juvenile Justice. Retrieved on June 30, 2010. East Jefferson Online Community – current events, history and organizational information.